The STEP UP partner cities have followed a number of stages to developing their enhanced Sustainable Energy Action Plans (SEAPs). Following stakeholder analysis, gap and issue analysis of their existing SEAP and city policies, energy flow analysis, the setting of visions and targets, and an inventory and assessment of energy actions in the city, the cities have considered the potential impacts of different future scenarios for their city. The purpose of scenario analysis has been for the cities to test their sustainable energy strategies in order to produce more robust enhanced SEAPs. To achieve this, cities have looked at alternative scenarios, and assessed the impact of these on CO2 emissions reduction targets and the implementation of planned energy actions in the city. The objective of this exercise is to assist cities in developing strategies and actions that are flexible and capable of withstanding unexpected or unpredictable futures. As part of the process, the cities have collaborated with various relevant stakeholders to select the external factors to consider and assess their impacts. 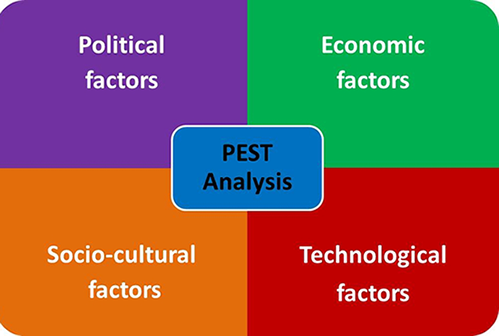 PEST analysis was used to explore the Political, Economic, Socio-cultural and Technological aspects of the cities’ environments, helping to take a holistic view of the impacts of different factors across various sectors. To read more about city approaches and findings, you can download a summary report on the scenario analysis undertaken through STEP UP here.